RYAN, JOHN, printer, newspaperman, office holder, and merchant; b. probably on 7 Oct. 1761 in Newport, R.I.; m. 25 June 1780 Amelia Mott, daughter of John Mott of Long Island, N.Y., and they had eight children; d. 30 Sept. 1847 in St John’s. It was in Carleton, on or about 18 Dec. 1783, that Lewis and Ryan published the first number of the Royal St. John’s Gazette, and Nova-Scotia Intelligencer, the earliest newspaper in what is now New Brunswick. The paper quickly began exposing the favouritism and incompetence displayed in the distribution of land to loyalists, and fell into official disfavour. In March 1784 the two printers were indicted by a grand jury for libel. It is possible that the paper’s fiery rhetoric was supplied mainly by Lewis, since Ryan gave little indication in his subsequent career of an inclination to criticize officials or governments. He did, however, sign the “Huggeford Petition” of 24 Dec. 1784, an elaborate statement of loyalist grievances addressed to Governor Thomas Carleton*. For nearly two years Lewis and Ryan had the only newspaper and printing-press in the community. In October 1785 Christopher Sower*, another loyalist and the newly appointed king’s printer, began the Royal Gazette and the New-Brunswick Advertiser, thus forcing Lewis and Ryan to drop “Royal” from the name of their paper. The loss of official printing to their rival at the Royal Gazette may have had the effect of sharpening the anti-government tendency of Lewis’s and Ryan’s paper, and in May 1786 the two printers found themselves once again charged with libel, this time before the Supreme Court of New Brunswick. They were convicted and fined. Earlier in 1786 the partnership between Lewis and Ryan had been dissolved, and the business was left in Ryan’s hands. He remained as publisher of what was now the St. John Gazette, and Weekly Advertiser until 1799, when he replaced Sower as king’s printer and acquired the Royal Gazette. Ryan sold the St. John Gazette to his brother-in-law, Jacob S. Mott*. In 1806 Ryan went to Newfoundland, leaving the Royal Gazette in the hands of his partner William Durant, who had been his apprentice. On 22 September he was given permission by Governor Sir Erasmus Gower* to establish a printing-office and weekly newspaper in St John’s. (Two weeks earlier Gower had authorized Walter Charles Davids, a visiting actor, to set up a printing-office, but Davids had not done so.) Ryan was recommended to the governor by the magistrates and merchants of St John’s as “a person of good and respectable character.” In a move that showed the extent of the governor’s arbitrary power in Newfoundland, Gower imposed the condition that Ryan give bond in the Court of Sessions for £200, “with good securities, that previously to the printing of each number of the said Paper, he shall submit the perusal of the proposed contents thereof, to the Magistrates . . . and not insert in the said Paper any matter which, in their opinion or the opinion of the Governor for the time being, may tend to disturb the peace of His Majesty’s Subjects.” Governor John Holloway*, a year later, further specified that Ryan “not suffer to be inserted in his paper any Paragraph or Extracts from other papers, which indicated any thing inflammatory against the Government of Great Britain, or its dependencies, or any paragraph which may tend to sow dissention among the inhabitants of this Island, and never to give, or suffer any opinion to be given upon the policy of other Nations.” Under these restrictions the press, albeit a fettered one, was inaugurated in Newfoundland. The first number of the Royal Gazette and Newfoundland Advertiser was published by Ryan and his son Michael on or about 27 Aug. 1807. It displayed the royal coat of arms on the mast-head and its motto was: “Fear God: Honor the King.” In the prospectus “John Ryan & Son” promised that their paper would never “offend the Ear of delicacy or distress the heart of Sensibility; its columns will never be occupied by party controversy.” Ryan by 1810 was styling himself “Printer to the King’s Most Excellent Majesty,” though there was no official appointment as king’s printer and no salary. The Royal Gazette was a single sheet, folded to form four pages. The paper appeared every Thursday until 1816, when it moved to Tuesday to gain an advantage over a competitor. On occasion there were “Extraordinary” issues on days other than the normal one, and supplements. A carrier delivered the paper around St John’s. Circulation was modest. Its contents were notices and proclamations from government offices, mercantile advertisements, “intelligence” reprinted from British and foreign papers, parliamentary and congressional proceedings, and local news. Rudimentary illustrations occasionally were provided in advertisements. The back page sometimes featured a “Poet’s corner” and entertainment such as anecdotes and short essays. Perhaps not surprisingly in view of Holloway’s strictures, there was virtually no editorial comment in the paper’s early years. It tended to be a dry assemblage of advertisements and notices, reflecting a milieu more concerned with merchandise and shipping than with politics. Nevertheless, the appearance of a newspaper in St John’s was of great importance, since it provided an organ for public debate – though it was admittedly little used for this purpose – and alerted the city’s emerging middle class to developments in neighbouring colonies. It was readily apparent from the Royal Gazette how far Newfoundland lagged behind the Canadas, Nova Scotia, New Brunswick, and even Prince Edward Island in terms of the progress of representative institutions. Once the paper appeared, agitation for a legislature, and for other reforms, was sure to follow. In addition to issuing the Royal Gazette, Ryan’s office supplied the other printing needs of the local merchants and government. He printed government proclamations, for example, and maintained a stock of insurance policies, indentures, bills of lading, bills of exchange, mates’ and carpenters’ protections, shipping papers, and similar forms for the trade. Undoubtedly most of these came from his own press. As early as 1807 he printed two pamphlets for the Benevolent Irish Society in St John’s, but he undertook little in this line. He also functioned as a stationer, selling a great variety of imported writing paper, message- and visiting-cards, ledgers, journals, calendars, almanacs, prayer-, hymn-, and school-books, quills and portable pens, ink, slates, and much more. In addition, he sometimes offered for sale items such as shingles, pork, chocolate, chairs, and lumber. Though a printer, Ryan apparently kept an alert eye on the general requirements of the market-place. The period 1807–14 was marked by expansion in the Newfoundland economy, and Ryan seems to have prospered. The “most sedulous attention to his duty as Editor,” he observed in his sober way in 1813, “has been rewarded by a steady encouragement.” In October 1809 he was given permission by Holloway to build a printing-office and stationer’s shop. The following year his son Michael, who had founded unsuccessful newspapers in Saint John and Fredericton prior to coming to Newfoundland, and who by 1810 was no longer connected with the Royal Gazette, requested permission to start a second paper in St John’s. It was to be called the “Commercial Register.” The request, which was turned down by Governor Sir John Thomas Duckworth*, was probably a sign that Ryan was encouraging his offspring to enter a promising local trade. Duckworth’s rejection drove Michael Ryan to Barbados. By 1813 Alexander Haire and Robert Lee had, with the permission of Governor Sir Richard Goodwin Keats*, established a second press in the city and were printing materials such as shipping papers and handbills. In October they made a formal request to issue a newspaper the following spring; Keats refused to grant it. On hearing of their application, Ryan had requested either that no second paper be allowed or, if it were, that his son Lewis Kelly Ryan be given authorization to operate it. Early in 1814 the crown lawyers in London made a key decision on freedom of expression in Newfoundland. They advised that the governor did not have the power to restrain a person from setting up a printing-press or newspaper. On or about 2 Sept. 1815 Haire and Lee began publishing the Newfoundland Mercantile Journal, a twice-weekly newspaper that in fact represents the beginning of a free press in Newfoundland. 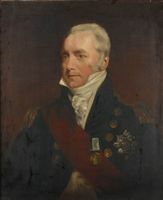 Writing in its columns, reformer William Carson soon pointed out that the Royal Gazette was not free; subjects such as “magisterial delinquency, or clerical imposition” could not be taken up in Ryan’s paper. Lewis Kelly Ryan replied that in editing the Royal Gazette his father “never considered himself bound by any other restriction, than what his own prudence might suggest, and his situation as Printer to his Majesty imposed upon him.” But in fact John Ryan himself once complained, in 1813, that the “restrictions and regulations” under which he conducted the paper were such as to deprive him of “the multiplied benefits of a free press.” The fact that the Royal Gazette continued, after restrictions on the press were lifted in 1814, to be in essence the mouthpiece of the government shows, however, that Ryan was also well aware of the advantages of close ties to the ruling establishment. On the appearance of the Mercantile Journal and other papers, Ryan none the less had to share government business with his rivals. In February 1814 Ryan announced that he was leaving Newfoundland for New Brunswick, and from March 10 of that year until 13 Jan. 1818 the Royal Gazette was printed and published by Lewis Kelly Ryan for his father. John Ryan apparently went to the neighbouring colony to close out his concerns there. In 1814 and 1815 he was in Saint John calling in debts and advertising the dissolution of his partnership with Durant. He may well have had arrangements to conclude with other firms. How soon he returned to Newfoundland is unclear. Perhaps he came back on learning of the disastrous fire in St John’s on 12 Feb. 1816, in which his printing-office was “wholly destroyed”; or after the fire of 7 Nov. 1817, in which the “major part” of his establishment was once again burnt. (The offices of the Royal Gazette would be wholly or partially consumed by fire on five occasions between 1816 and 1846.) Shortly after John Ryan resumed the editorship of the paper, Lewis Kelly Ryan began publishing the Newfoundland Sentinel, and General Commercial Register, the earliest journal in Newfoundland to be dedicated to reform. The paper, the first number of which appeared on or about 4 July 1818, survives in only one issue. Reformer Robert John Parsons* would later describe it as “a Journal bold, daring, and formidable to misgovernment.” It lasted until 1822 and was published out of the Royal Gazette office. There is a gap in the file of the Royal Gazette between 1818 and 1828, though occasional numbers survive. By the latter date, the state of local journalism had considerably altered. The Mercantile Journal as well as the Sentinel had disappeared, to be replaced by the Public Ledger, which dates from 1820, and the Newfoundlander, which commenced 4 July 1827. A newspaper had appeared also in Conception Bay, the Harbor Grace and Carbonear Weekly Journal, and General Advertiser for Conception Bay, which published its first number at Harbour Grace on 6 Aug. 1828. (A second Conception Bay paper came out in 1829.) As journalism became more lively and competitive in Newfoundland, the role of Ryan’s paper as the dull, official gazetteer, staying aloof from the clamour of partisan and sectarian debate, choosing rather “to record than to advise,” became more pronounced. But there were signs even from the mid 1820s that the advance of reform did not meet with his approval. These signs culminated in a highly unusual editorial on 28 Sept. 1830, in which Ryan (if indeed it was Ryan – John Collier Withers had by this date a large role in conducting the paper) came out against a legislature for Newfoundland. 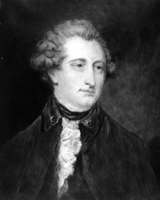 The colony, it was stated, “has not yet attained sufficient ripeness to legislate for itself.” In response to those who pointed to the advantages the neighbouring colonies had received from a representative government, the editor, who seemed to know whereof he wrote, noted that “not a word had been said of the bickerings, the heart-burnings, the rancorous feelings of ill-will, which has marked the frequent struggles of the different branches of the Legislatures, and of the parties to which they gave rise.” He was able to show how little had been accomplished by the legislature in Prince Edward Island, despite that colony’s manifest advantages. And he pointed to the powerlessness of any local body to effect a change in such critical matters as the French and American fishing rights on the Newfoundland coast. The editorial contains perhaps the most cogent series of arguments presented at the time against representative government. The day was, of course, long past when such arguments could be effective, and liberal opinion had given up taking the Royal Gazette’s “balderdash” seriously. Cathedral of St John the Baptist (Anglican) (St John’s), Reg. of baptisms, marriages, and burials (mfm. at PANL). PANB, MC 1316, J. R. Harper, “Christopher Sower, 1754–1799”; RG 5, RS42. PANL, GN2/1/A, 1806–47; GN2/2, 1826–47. PRO, CO 194/45–127. Saint John Regional Library (Saint John, N.B. ), “Ward scrapbook of early printers and newspapers of New Brunswick,” vol.3 (mfm. at PANB). 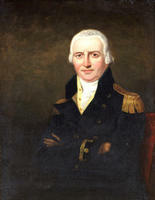 J. R. Harper, “Christopher Sower, king’s printer and loyalist,” N.B. Hist. Soc., Coll., no.14 (1955): 67–109. Patrick O’Flaherty, “RYAN, JOHN,” in Dictionary of Canadian Biography, vol. 7, University of Toronto/Université Laval, 2003–, accessed April 24, 2019, http://www.biographi.ca/en/bio/ryan_john_7E.html.